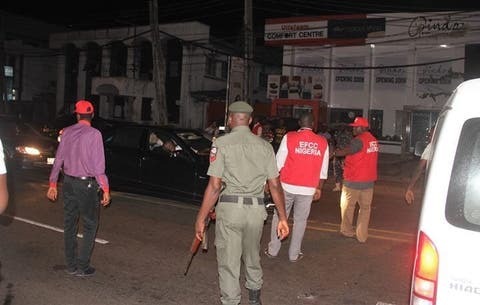 The Economic and Financial Crimes Commission has reacted to claims by Union Bank and Bankers Warehouse Limited that the $2.8m (N1.02bn) seized by the EFCC from two men at the Enugu airport on Friday was legitimate. Union Bank had said moving money in such a manner was not illegal and was routine. The Bankers Warehouse Limited, which moved the funds on behalf of Union Bank, said in a letter addressed to the Central Bank of Nigeria that it did nothing illegal and asked the apex bank to compel the EFCC to release the money. The letter read in part, “We want to convey to you that once again, we are facing a challenge with one of the security agencies (this time the EFCC) which detained our couriers while trying to board an Arik Air flight from Enugu to Lagos, conveying currency on behalf of Union Bank. They were transporting US dollars. In his reaction, however, the acting Spokesman for the EFCC, Mr. Tony Orilade, said the commission invited officials of the bank but they refused to show up.